The claim by the MSM has been that when Obama took office in 2009, the economy "was in peril" and was hemorrhaging jobs. That he created millions of jobs and drastically reduced the unemployment rate. They think we should all thank Obama for fixing the economy by creating millions of jobs. First of all, the financial crisis, might seem like it is over to some, but it never really ended. If it was over, interest rates would not be near all-time lows like they are today. They would have normalized back to 5 or 6 percent, however they are hovering near 0%, with constant threats of negative rates at some point. The Labor force participation rate was decimated under Obama and is now at 62.7%, which is the lowest it has ever been. The mainstream media takes the governments word that the unemployment rate is only at 4.6%, which would be a dream for any country in the world. The truth is, millions of people have stopped looking for work and they don't get counted in those statistics, also millions more people who lost full time jobs have picked up part time jobs working in the restaurant industry, at Walmart or Home Depot type of jobs. The true unemployment rate if you include discouraged and displaced workers is at an incredible 23%. The following chart from ShadowStats.com shows the real state of unemployment in the US. We would say, this chart more reflects reality on main street rather than the 4.6% figure the government and MSM are peddling. When you look at the record number of Americans (44 million) who can't afford to feed themselves and are living on food stamps, you wonder how the mainstream establishment media could overlook these figures. Their love affair with the Nobel Peace Price president seems to have hindered their judgement. Food stamps are given out to people that can't otherwise afford to feed themselves. It's a horrible statistic when one in every seven Americans are on that list. When Bush left office in the middle of the world crippling recession, less than 32 million Americans were on food stamps. So, 12 million more Americans can't afford to feed themselves under President Obama. Does that sound like a recovery to you? We don't think so. We've recently learned that Macy's, Sears and other big name companies have announced major layoffs. This indicates commerce is not doing so well in the country, yet the stock market is at an all-time-high. 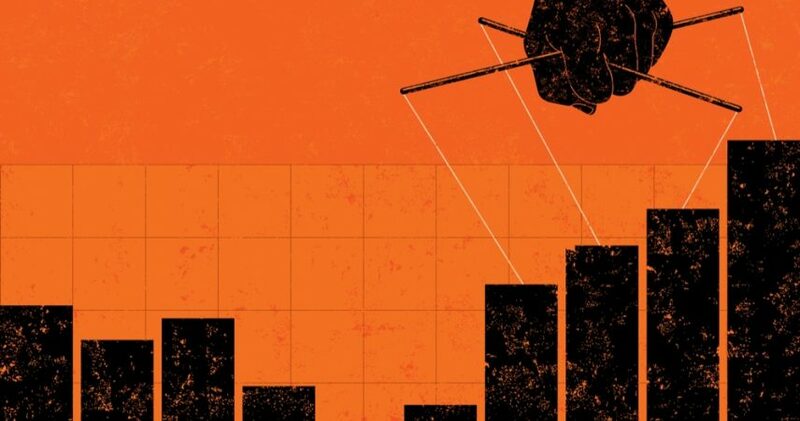 The biggest problem with the economy that we harp on at Free Market Capitalism is the massive increase in the national debt which is now hovering around a staggering $20 Trillion. Under President Obama's reign, that figure doubled from when he took office. Meaning, Obama borrowed as much money as every president before his reign combined. Bush left office with a $10 Trillion number and that was after 2 major money sucking wars. Obama has made the bankers proud, and lined their pockets with some nice juicy interest payments from now to infinity because that debt will never be repaid. It is virtually impossible to pay it off. But Obama won't have to worry about that when he's sipping Mai Tai's and playing Golf in Hawaii for the rest of his life. The problem when countries like the US borrow money from a central bank is, not only do they have to pay it back at interest but it devalues their currency. When their is a lot of something, that something becomes less valuable. So your big mac and fries now costs a little bit more. Your Lululemon pants cost a bit more as well. Generally your pay check doesn't keep up with the inflation caused by all of the government induced inflation happening. This is a hidden tax that politicians don't like to talk about, but whenever they borrow money, the bankers fire up the printing presses and secretly taxing you by weakening the purchasing power of any money you have in the bank. It is horrible for poor people and horrible for those in retirement as it costs them that much more just to survive. This is a big reason why socialism does not work. You have to borrow a ton of money in order to "help the poor people", but when you do that, you are really just making life more difficult on them. 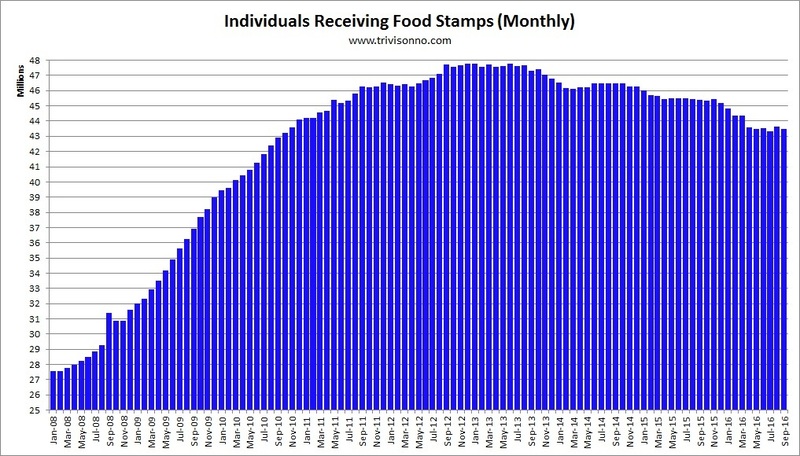 This is likely one of the big reason why we see such an increase in people on food stamps. It just costs so much more to feed their families now. If you want to help poor people, have a small government that doesn't cost that much to run. Do not tax people or businesses hard earned money, let them keep it all. The more money people have, the more they're free to pursue their business ideas and create jobs and even hire people. Less people will be working for "The Man", and more people for themselves. This was once called the American Dream, something people only reminisce about now. When the stock market is up, the mainstream media announces how well the economy is doing. The problem is, it has been indicated by some that the private Federal Reserve Bank is the one that is artificially buying stocks and futures in the US stock market in order to give a false signal that everything is ok.
To be fair to President Obama, he isn't entirely to blame. Congress continues to extend the debt ceiling and passing bills that in-debt the US without restraint mainly due to its ever increasing warfare/welfare state. The issue is not a single party issue but a systemic issue, one both parties equally contribute to. With interest rates at all-time lows and the Federal Reserve deathly afraid to raise it any more than a quarter percent in fear of bursting the bubble, the US debt at levels no one can even fathom, record high numbers of people on food stamps, record high numbers of people that are not in the workforce, you know something isn't right. The mainstream media is peddling fiction giving the president an A+ jobs report and a pat on the back for recovering the economy. In reality, he left a mess and a huge bubble that will soon burst and blamed on Donald Trump. We don't see much he can do to fix it, but we're pretty sure what he does will probably hurt more in the long run but might help temporarily just like Bush and Obama before him. If it wasn't for the US having the petrodollar, they could never get away with printing as much money as they do without going into Venezuelan hyperinflation territory. That's why they are doing everything in their power to protect it at all cost, even creating wars in every part of the world. The day they loose the petrodollar status will likely be the day America ceases to be the main super power in the world and we think America might not survive in the same form that we see it in today, when that happens. Debt has been the main catalyst in bringing down all the major super powers in the past and the same thing is happening before our eyes today in America, and most of the west for that matter. We advocate for small limited governments, free markets and voluntary exchanges with no coercion of taxation. 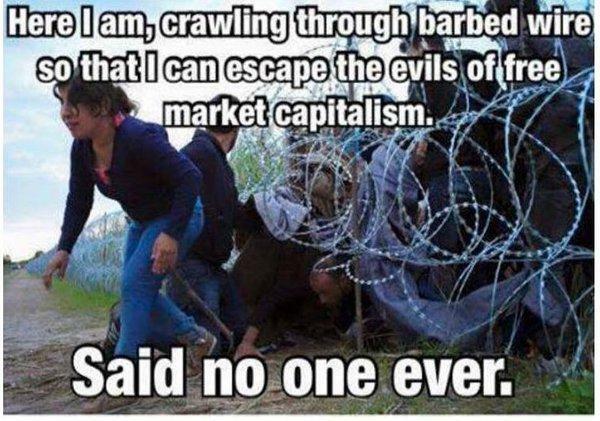 The free market capitalistic approach is the only model that will succeed in raising the standard of living for the most amount of people in this world.